I'm very honoured to be appearing in the Writers' Tent at this year's Newtown Festival. The Tent, sponsored by King St literary institution Better Read Than Dead, is THE hotspot of the Festival, featuring a really fascinating range of authors (including my good friend Geesche Jacobsen) talking about their books and their craft. I'll be In Conversation with the terrific Maggie Hamilton, and I'm sure she'll drag insights, profundities and epiphanies aplenty out of me. Please come along and hear me! 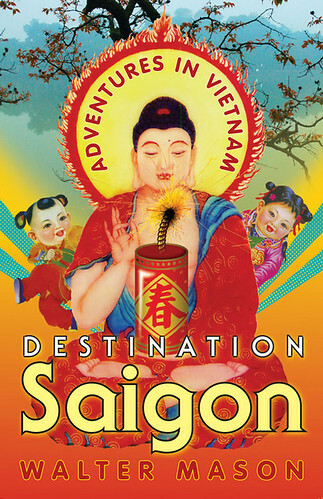 From the crazy heat and colour of Saigon to the quieter splendour of Hanoi, Walter Mason gives us a rare, joyous, at times hilarious insight into contemporary Vietnam. Seduced by the beauty and charm of its people, the rich variety of foods, travel off the beaten track to far-flung villages in overcrowded buses or perched perilously on motorbikes. In conversation with publisher Maggie Hamilton. Water Dispenser Outside Church, Le Van Sy St.